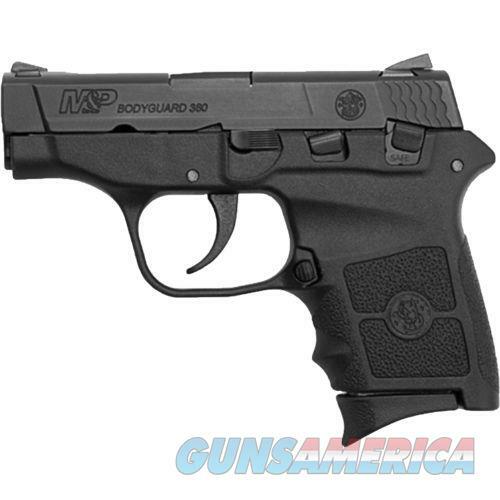 Description: The Smith & Wesson M&P Bodyguard .380 Auto Pistol features a stainless-steel barrel and slide with fish-scale serrations on the rear of the slide. This double-action, centerfire pistol has a second-strike capable trigger, stainless-steel, drift-adjustable front and rear sights and a thumb safety. Includes 2 magazines and a nylon case.